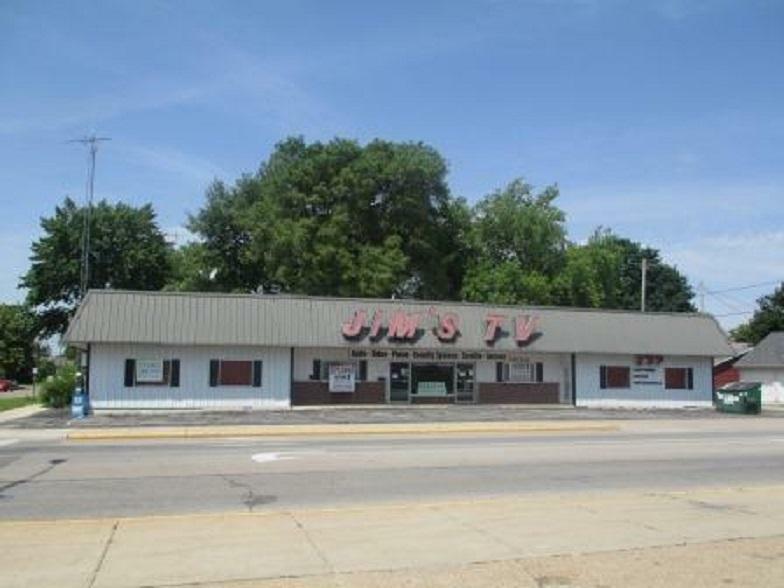 COMMERCIAL BUILDING WITH OVER 3200 SQ FEET!! Endless possibilities, central corner lot. Building has a steel roof & 3 different sections, each has its own entrance. Original center section (1200 sq ft) & 2 side additions (900 sq ft each), 3 newer GFA units & middle section has central air, additions each have wall units of AC. Each section also has separate electric. Landlord pays water. Property is currently rented to 3 tenants: Suite A - pays $325 a month plus gas & electric; Suite B - pays $400 a month plus gas & electric; Suite C - pays $350 a month plus gas & electric.